If you’ve ever used a Chromebook or indeed, a Chrome tower, you’ll know that the software feels just a little bit too light. Sure, it’s fast, and if you’re heavily invested on Google products on the Web, then it’s awesome for your day-to-day needs, but in some instances – i.e. where the use of an app is required – it’s always good to have a Mac or PC handy. 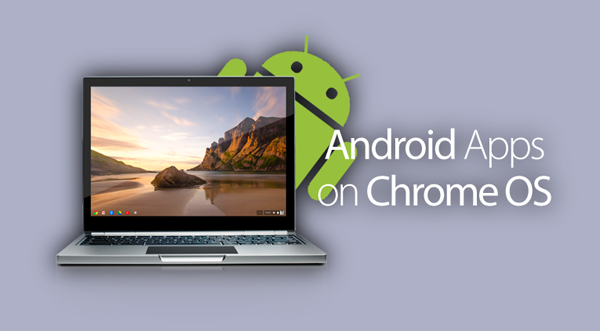 In a concerted effort try and resolve the issue of Chrome OS feeling like something of a ghost town, Google has announced its intention to get Android apps running natively on its desktop software, and although the process is still in the early stages, this could be a significant step in getting consumers onside with Chrome OS. If you haven’t ever had the opportunity to familiarize yourself with the Chrome interface, it’s essentially just the Chrome browser, coupled with a file explorer notably bereft of basic functions, and while it performs to a satisfactory level for most Web-based tasks, the issue arises when, for example, you want to quickly edit a photo. Sure, you might argue that you never edit photos, or want to call upon an app like VLC when Chrome OS won’t play a certain video type, but most people do, and this is why, for the most part, Google’s platform has been shunned for its limited nature. By bringing support for Android apps, Google could certainly widen its appeal, and by the same token, increase its potential as a genuine competitor to Windows and OS X. Apparently, apps will be able run as they would on a smartphone (think BlueStacks), or adjusted to run like tablet apps, which, you feel would be better suited to the orientation of most Chromebooks currently on the market. Aside from Google’s well-built, if expensive Chromebook Pixel, most Chrome OS machines use the keyboard and mouse system. As such, work will need to be put in to ensure that users can interact with apps through a more traditional set-up. Then again, with apps like BlueStacks in mind, we already know that this is very much achievable, and as a part-time Chromebook user, I’m certainly excited to see where this project might lead. Sundar Pichai, leader of Android, Chrome and Apps at Google, did not put any kind of time stamp on when this feature might roll out, but hopefully, the company will come through with an updated progress report in the near future.